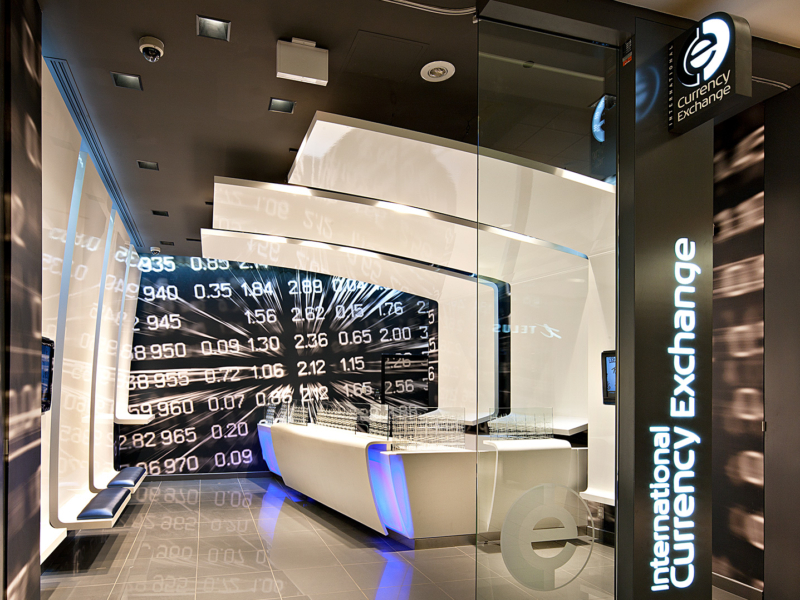 The design of the in-line currency exchange store focused on creating a dynamic statement by challenging conventions of what one would expect from a financial services provider. The concept’s futuristic sculptural forms elicit curiosity from passersby. ICE wanted to convey to their customers, loyal and new, that they are not just a financial institution offering FX services, but a one-on-one customer-friendly FX service provider. The intention was to defy expectations to offer customers an alternative experience to established industry standards, whether responding to simple inquiries or engaging in financial transactions. This is the first inline concept for ICE in a shopping mall outside of an airport in North America.